We investigated curricular conditions and educational practices that influenced the development of life-long learning orientations among 405 undergraduate students. 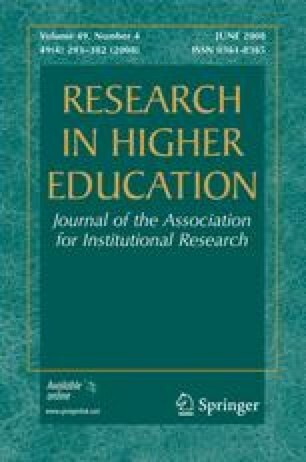 Results suggest that growth in life-long learning orientations was facilitated by instruction that included opportunities for reflection, active learning, and perspective-taking and that provided students with opportunities for positively interacting with diverse peers. Negative diverse peer interactions were found to stifle development. Implications for researchers and practitioners are discussed. This research was supported by the Wabash Center of Inquiry in the Liberal Arts. Preacher, K. J., & Leonardelli, G. J. (2005). Calculation for the Sobel Test: An interactive calculation tool for mediation tests. Retrieved September, 2005 from the University of North Carolina at Chapel Hill, Department of Psychology Web site: http://www.unc.edu/~preacher/sobel/sobel.htm.